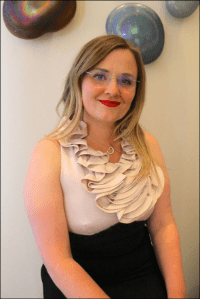 Tiona’s business expertise keeps Blue Mussel Aesthetics running smoothly behind the scenes. She grew up in a musical family, both of her parents are opera singers in Russia. She held her first acting job at the Theater of Opera and Ballet at age 6. She studied linguistics at the University of Russia and accounting at Holyoke Community and Elms College in Massachusetts. Her musical household and exposure to multiple cultures during her youth gives her a deep appreciation for art and beauty. Tiona moved to Juneau in 2012 and has enjoyed raising her daughter here with her husband. 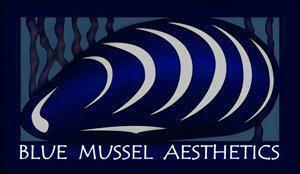 Beverly Anne keeps Blue Mussel Aesthetics organized and moving forward as our Administrative Assistant. She has spent most of her life as a Juneau resident. She also works for the State of Alaska and is studying at the University of Alaska Southeast. 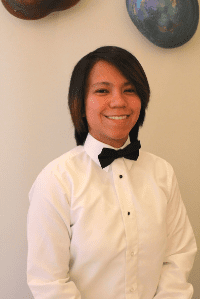 Her upbeat attitude and impeccable style make her a fantastic member of the team. Brett was welcomed to the team in 2017. She is homegrown southeast Alaskan who loves adventuring and exploring in the great outdoors. She studied business management at New Mexico State University. 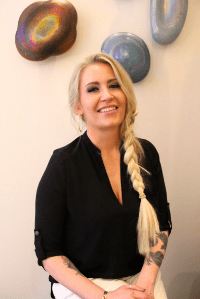 She is a health and wellness enthusiast whose passion for aesthetics makes her a great addition to the team.